Home Things to Do The 10 Best Things to Do This Week in L.A. The days are getting shorter as we hurtle toward the end of the year, but that just means you have longer evenings to spend out doing activities around the city. Here are a few of our favorites–but, of course, one event this week is the most important of all: Tuesday is Election Day. Get out there and vote! If you were a fan of the television show Glee, you’ve probably already copped tickets to this night of live music at the Ace. Two of that musical teen drama’s stars reunite on stage to sing a collection of tunes, including some Broadway standards and favorite numbers from the Glee days. Willem Dafoe plays Vincent van Gogh in this new film, which is based on scenes inspired by the artist’s paintings and lore that surrounds his life. After the screening, director Julian Schnabel will discuss how he created the film and answer questions. Joni Mitchell is an icon, especially for L.A., where her “lady of the canyon” vibe defined an era. A few of her many admirers are getting together at the Dorothy Chandler Pavilion to play her music on November 6 and 7; those admirers include Norah Jones, Graham Nash, Chaka Khan, Emmylou Harris, and many more. Crooner Charles Bradley was a staple in the 2000s and 2010s, when, after a lifetime of struggles to make it in the music industry that seemed to be thwarted at every turn, he finally released his first record on Daptone in 2002, at the age of 54. Bradley passed away in 2017, but, this month, Daptone releases his final album, and celebrates what would have been the 70th birthday of the “Screaming Eagle of Soul” with this free event. Take your pre-Lakers game tailgating to a whole new level (literally) with Sky-Gating at WP24. The rooftop restaurant will offer a market-style pop-up from 5 p.m. to 8 p.m. with an array of Asian-inspired food stations to try. After you’ve filled up on spicy chili jian bing and craft beers, you’ll be ready to cross the plaza to Staples to see the Lakers take on the Timberwolves. Overall, guitar rock may be waning, but women are the genre’s leading lights. Case in point: Mitski. 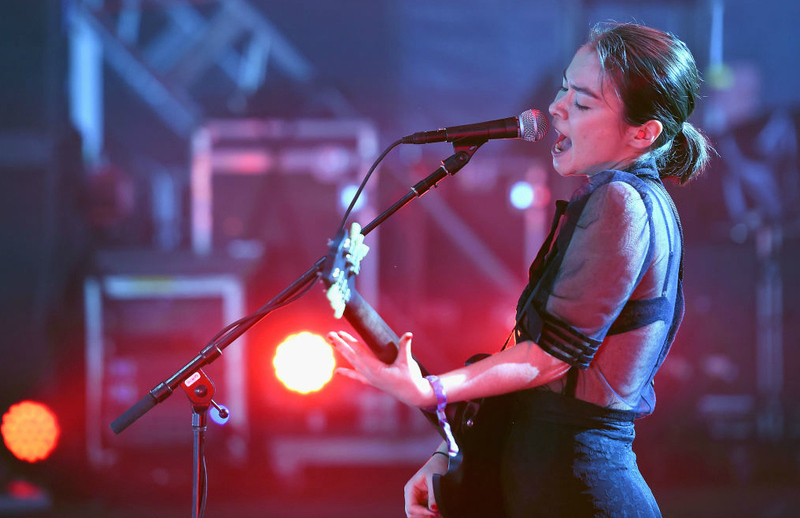 Japanese-American Mitski Miyawaki has turned her search for identity and acceptance into some of the most poignant, personal, and explosive guitar-fronted indie rock of today. Justina Blakeney’s L.A.-based blog and brand Jungalow are followed by hundreds of thousands of fans who adore the designer’s eclectic, global take on modern interior decor. She’s penned two best-selling books, The New Bohemians and The New Bohemians Handbook, has a line of rugs and wallpapers, and is an icon of plant goals. Catch her speak in the finale of the “Working Girls” conversation series at the Unique Space. Make your night out at the movies a chance to learn a little bit of local history. The Los Feliz Neighborhood Council hosts this free screening of the 1947 film Chinatown, accompanied by a talk by Marty Adams, COO of LADWP, discussing the real-life work of William Mulholland and how L.A. gets its water today. For everyone who clicks obsessively on blog posts that promise the “secret to French girl style,” Hermès has a pop-up for you. Stop by Thursday through Sunday to meet the designers of the brand’s iconic silk scarves, see all kinds of special and rare scarves up close, shop limited-edition wares, have a drink the the Carré Café, sing in the Carré-ok room (yes, really), and pose in chic photo ops. Scottish hip hop trio Young Fathers picked up a Mercury Prize for their 2014 debut album, Dead. They’ve kept busy since then, releasing a third full-length this year, Cocoa Sugar, which has been their biggest commercial success so far. The group is joined by experimental post-punk band Algiers. The Iconic Photos That Define L.A.